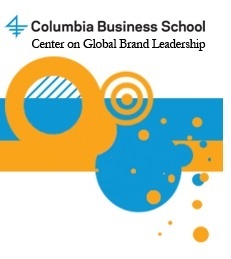 Tomorrow I will be participating in an interactive CMO Summit at the Center for Global Brand Leadership, Columbia Business School. By way of thought starter, I wanted to take a look at the round tables and discuss with you the topics with implications from your point of reference as customers, peers, colleagues and business professionals. The umbrella question | what are the challenges for innovation and brand building inside organizations today? From my observations in most B2B organizations there is no central process or system in place to capture ideas, vet or test them, and execute. The marketing department is a drive-through place where product managers and sales groups come to order happy meals with fries and a drink -- advertisements, Web sites, brochures, campaigns, and press releases. Everyone goes away (sort of) satisfied, but not nourished. Instead, marketing should be the center of an ecosystem where customer feedback and market research feed the brand experience, which in turns inform strategic innovation. Reframed as a service, marketing gains even more value through the processes of listening, advising, explaining, and teaching. The challenge with brand building is the definition itself. When we talk brand, the internal organizational curtain comes down and all everyone sees are logos and styles. How can we make the concept come alive? A corollary to that is that because of approval processes, everyone is a marketer in perception. "Can you change that word?" "I like blue better." While at it, let's write a press release as if it were a product bulletin. Both challenges suffer from lack of internal alignment and thus commitment towards a common language that represents the business and reflects its presence in the marketplace. Add to that dwindling budgets and the question Pamela Kaufman, Chief Marketing Officer, Nickelodeon/MTVN Kids and Family Group will address: how do you build brands in a new media environment? How are you doing in that department? Is it fair to say that it should be your customers to tell you? I write about customer conversations every Thursday at Fast Company Expert blogs. From the view point of the customer, of the marketer and brand steward, as well as the observer. What do customers want? Find out and give it to them. In the first roundtable, Prof. Bernd H. Schmitt, Exec. Director, Center on Global Brand Leadership will lead a discussion on "Sourcing, Evaluating, and Executing Innovative Ideas". What about managing expectations inside and outside the organization? For example with partners, suppliers, consultants, etc. Make it a point to share knowledge freely. Encourage communities of customers to meet and share. Devise specialized, smaller offerings to get customers to bite. Focus on making the world, or your industry, better. These action items can still be a winning recipe to engage customers today. How do you influence brand ambassadors in the new media environment? Francois Gossieaux and Lois Kelly, Partners, Beeline Labs, will lead this round table discussion. I like the idea of customer advisory boards. This concept has been around for a while. It's borrowed from Good to Great by Jim Collins and expresses the idea that to carve a path to greatness first you decide who should be on the team, then what you are working on. The right people are self-motivated -- in addition to having the skill sets needed and the talent to pull it off. Who should be on the new marketing department bus? Maryam Banikarim, CMO, Univision; and David Rogers, Director, Center on Global Brand Leadership will lead a discussion on "Challenges, Opportunities, and Skill Sets." My take is that you need a connector, someone who sees the interdependencies and possibilities and can translate that into opportunity, content, action. Literally someone who can connect ideas and people to make it work. Then you need a number of highly specialized global thinkers -- people who can move fast on their feet yet stay anchored in the understanding of the mission. Because they are extremely comfortable in their domains, they are not afraid to push the envelope when necessary. A third and welcome addition would be process people who get systems and can manage complex variables. A final note before opening the conversation with you (please disagree as necessary). Today we don't have communications issues inside organizations. We have information problems. Not enough data, facts, feedback and narrative is shared from customer experiences to research to product and service planning. Thus many of the innovation efforts we could take on to recalibrate brands and align them with what customers want fail. Now think with me through some of you questions and discussion deliverables I can help bring to the fore tomorrow. What would you add? I am joining talented marketing professionals and bloggers David Berkowitz, Don Dodge, Paul Dunay, Tom Guarriello, Max Kalehoff, Lois Kelly, Amanda Mooney, and C.B. Whittemore. See you all there at BRITE for an early (still) peak at the possibilities and opportunities to innovate and build brands with the help of technology. This jump started my day, thank you. When I read your first point I think of the role of assumptions in the utilization of knowledge. Which puts me on an interesting path of investigation. In your second thought I am prompted to reveal my suspicion that even when we do ask questions, the lie is embedded in them or it's the wrong question. We ask it on purpose, to get to the answer we want. Having channel reality as convenient, we now stick to that POV. The hunger remains. Control is a big issue. Entire job descriptions are wrapped around the idea of gatekeeper and filter -- as if the truth were not self evident. My other thought here is in the post industrial commercial treadmill, getting off the corporate program can cause a lot of disruption. "I got bills to pay" I hear often enough. And I do, too. I'm not quite sure I get your last part. One thing is for sure, innovation more than an imperative has become a buzz word. I associate innovation with the idea of a learning difficulty. An inability to accept the truth. It's as if you have to hold everything without judgment and then at a point you put the fragments of experience, observation, knowledge, relationships etc together in such a way that when you look around your surprised that the whole world doesn't put the pieces together that way. But the world doesn't put them together that way because each piece has a separate existence. The MBA all to often provides the instructions on how you put them together. How do you teach/learn such a fundamental learning disability. The rise of innovation as a concept seems to have occurred at the same time that questions became unfashionable. Business love ideas (innovation) but hates thoughts (questions ). I notice this a lot. I see far more answers to things than I ever see questions (perhaps I'm not looking in the right place). Perhaps the reason we keep coming back to re-interpreting innovation and re-stating its importance is because the answers, though intellectually satisfying, leave us hungry. To what extent is the pre-occupation and constant re-interpretation of innovation a symptom of corporate ill health and an unwillingness to recognise that corporate death is fundamental for progress. Does the intitutionalisation of big "I" Innovation within larger corporates limit the opportunity for much bigger innovations throughout the market. Is "I"nnovation an obstacle to the evolution of our companies and markets. Is big "I"nnovation holding us back from what could/should be. As an aside, I'm curious as to the way society treats innovation in business and politics. Radical change in the design and nature of a business is called innovation but change in the nature and design of politics is sedition. like so many contemporary themes of business, are becoming like business plans. Caught in a cycle of re-interpretation and re-statement. And like so many business plans dissassociated from the cause and effect that is the direction of the business. For me the in innovation has become repugnant. Glad you could come in and join the conversation. You are making a great point in a new way. People inside organizations fill the void with their stories and that is your brand, too. In addition to that they translate their understanding of strategies into tactics (another reason why talent is crucial) in a way that may yes, be aligned with what the organization intent is, but still personal and unique to their skill sets and POV.